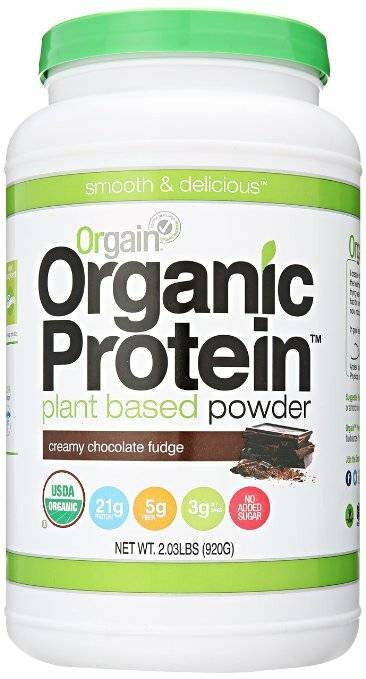 Orgain organic plant-based protein powder provides 21 gram of USDA-certified organic protein from brown rice, hemp, chia and pea. Orgain organic protein also boasts 5 gram of organic fiber and just 3 gram of net carbs. Specially formulated to avoid the grittiness and bitter aftertaste often associated with plant-based proteins, Orgain organic protein is the smoothest and most delicious organic protein powder available.